Is Outsourcing Handwritten Data Entry Service Beneficial For Your Business? The world of internet has widened the scope of all the business sectors and organizations. To stay ahead of the competitors, today, every business firm approaches for multiple contemporary ways. Most of the firms deal with a huge amount of paper documents and records and a daily basis, which needs to be digitized significantly. This has aroused the need for outsourcing the handwritten data entry services. Digitizing the handwritten documents has become a frequent process within every business organization. • Journals, magazines, periodicals, yellow pages, dictionaries, and much more. Outsourcing the handwritten data entry service especially to an Indian service provider will endow you with a wide range of benefits. The outsourcing service providers, especially the ones in the offshore region such as India, possess an excellent and experienced team of data entry operators. Handling fonts such as Gothic, etc. needs a good amount of training or else, they might find it challenging to enter the document. Generally, the data from the handwritten forms includes contact information, city/state, pin code, etc. Each data entry operator will be offered with a list of hardcopy stating the fonts to avoid any hassles. You might be wondering that outsourcing handwritten data entry is an expensive procedure for your business. But, the reality is quite different! Outsourcing will help you to avail the valuable resources present at the outsourcing service provider. This will help you to save a good amount in terms of human resources and finance. Outsourcing the handwritten data entry service to an eminent service provider can offer you with significant data in a streamlined manner. Most of the firms lack in-house organizational resources or they might be limited. In such an instance, accumulating the resources to one area can have an adverse effect on the other areas. Unavailability of valuable resources in the necessary areas can affect the various elements such as marketing, etc. This can ultimately affect the overall productivity of your business organization. Outsourcing the handwritten data entry service to the right service provider can help you to equally distribute the resources and attention to all the core and non-core tasks. 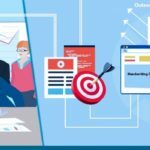 Today, there exists a large amount of market competition and thus, you need to stay ahead of your competitors by attracting the attention of your target audiences. 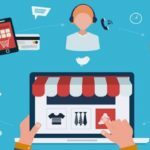 Handwritten data entry service dealt by the right service provider can optimize the brand loyalty and thus, will facilitate a long-term relationship with the clients. Having a sound knowledge about English should be the prime criteria while selecting a service provider to perform the handwritten data entry services. The data entry operators having an excellent English can figure out the irrelevant or unnecessary words which can affect a sentence in the handwritten document. A handwritten data entry service provider is well-equipped with the right mix of infrastructure and other advanced facilities. The use of appropriate software or updated tools will ensure to deliver the accurate result within an affordable and user-friendly budget. 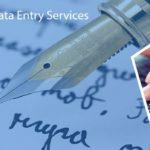 Data Entry Export has emerged to be the leading service provider of handwritten data entry services, well-known for comprehensive quality assurance and output delivery within a short time.